Partnerships for International Strategies in Asia (PISA) and GW Institute for Korean Studies (GWIKS) co-hosted an event looking at economic reform in North Korea. Both PISA and GWIKS are standouts in the Washington policy community for their mission to expand public discourse on North Korea beyond the security archetype. On February 22, 2018, we gave the audience the opportunity to learn more about North Korean economic history, government-led reforms, domestic political drivers, and the role of outside actors in shaping North Korean economic landscape. 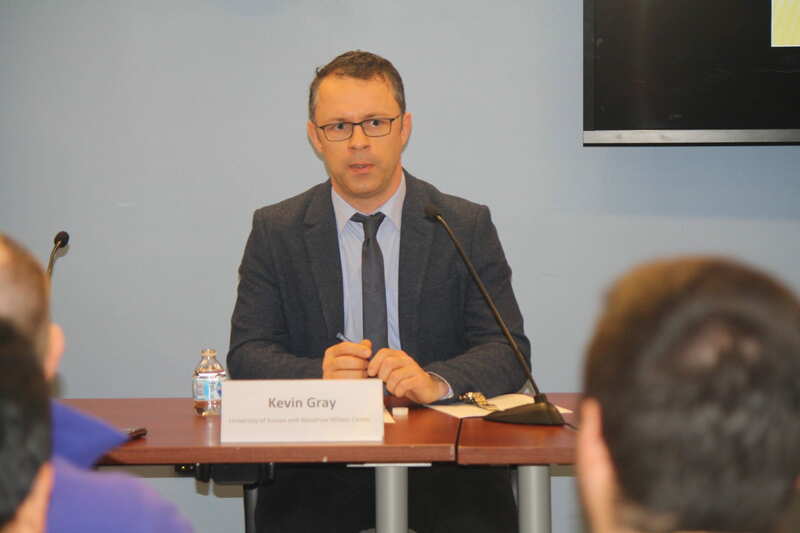 Keynote speaker, Dr. Kevin Gray of University of Sussex, and currently a fellow at the Woodrow Wilson Center, delivered a presentation titled, the Political Economy of Reform in North Korea. Dr. Joongho Kim, a Visiting Scholar from GWIKS participated in program as a discussant. Each scholar offered insightful expertise into the topic and agreed that the pace of economic development and liberalization in North Korea is varied across the country. PISA and GWIKS will sponsor an event next month, ‘Beyond the Nuclear Issue’ a conference held at The Elliott School March 28th.